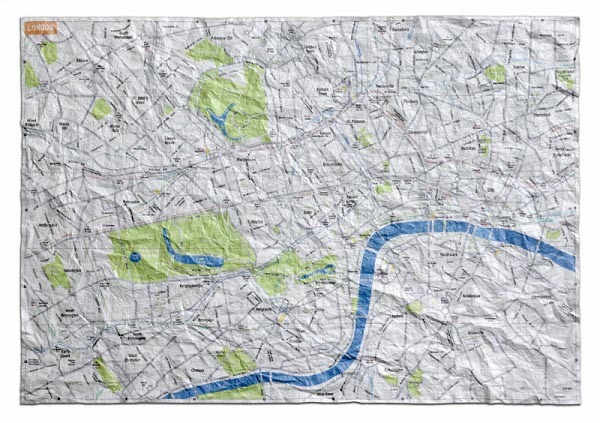 Most city maps are awkward, fold-up creations that fail for a variety of reasons. One, they’re unwieldy. Two, potential bag-snatchers and pick-pockets can spot you a mile off–you might as well be holding an umbrella emblazoned with the neon legend: New to City. Rob Me. Three, they never fold back the way you want them to. Four, it doesn’t take much for them to rip. 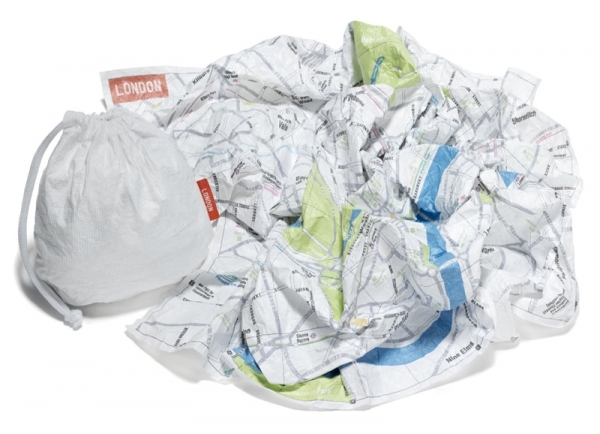 So, industrial designer Emanuele Pizzolorusso’s ingenious idea is the Crumpled City Map. Is there something slightly discarded tissue about the whole thing? One could argue that the Crumpled City Map is the occasional table of the cartographic world. Part chart, part handkerchief (and even with a soupçon of balled-up sock in there) it’s the kind of thing that’s just begging to fall out of one’s bag, hitting the deck with a silent ‘crump’ as you scrabble frantically in your bag for your trilling cell phone. For more Almost Genius, click here.